We hold kids camps every school holiday, whether it be the height of the summer or the February half term we are here! These camps are all about having FUN, FUN, FUN! We use a mixture of Tri-Golf equipment and more traditional clubs to keep the children on their toes! 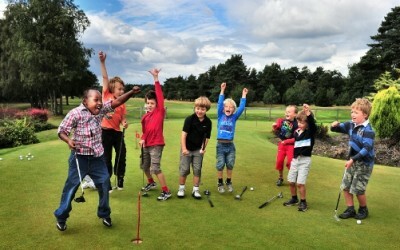 We will also take the children out on the golf course to experience the real thing! All of this combined together makes for some very interesting days for the kids!